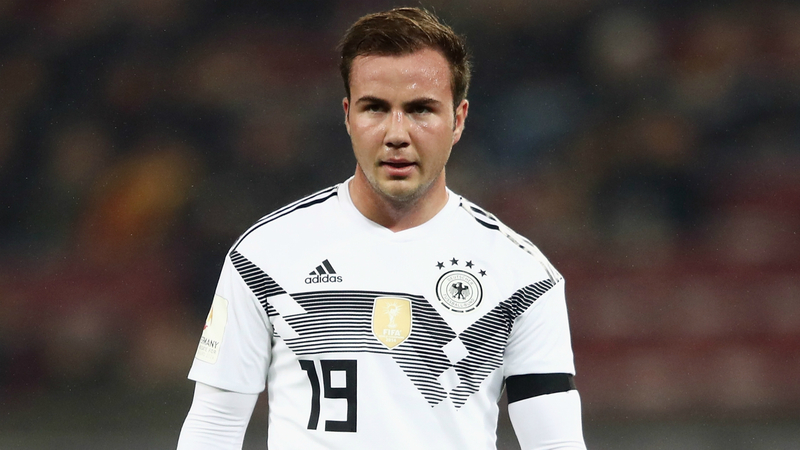 Mario Gotze has cautioned against any "radical" changes in the Germany national team set-up despite their dismal World Cup performance. The 2014 winners crashed out of the group stage in Russia this year, losing two of their three matches to Mexico and South Korea. Head coach Joachim Low remains in charge and kept faith with a number of his senior players for the Nations League clash with France this month, which finished 0-0, and the 2-1 friendly win over Peru. And Gotze, who scored the winning goal in the 2014 final but did not make the squad for Russia, sees no reason for Germany to rip up their methods simply because of a single poor tournament. "Because I saw everything this time from another point of view, it was very disappointing," the Borussia Dortmund midfielder told Omnisport. "Of course, it's very sad to see how Germany got knocked out of the group stage as world champions. But I think it's the wrong approach to ask for a radical change and turn everything upside down. That makes no sense to me. "You have to remember how good we were and how good a job we did in recent years. To forget that now in such a short time isn't right." However, Gotze does believe there needs to be some small changes within the Bundesliga in order for clubs to keep pace with the rest of Europe. It is five years since a German team reached the Champions League final, when Dortmund lost 2-1 to rivals Bayern Munich at Wembley. Gotze thinks the Bundesliga needs to be willing to adapt so clubs can compete with the financial power of the Premier League or the continental pedigree of LaLiga sides. "I believe when looking at the other leagues, especially Serie A, the Premier League with all the money there, the Spanish league with the clubs being on top there and their success in the international tournaments, I believe that the Bundesliga needs to be careful and to adapt some things," he said. "You have to try to keep up with the times. I think the people responsible will draw the right conclusions. "But looking at the situation right now, it's going to be very exciting to see what will happen in the next one, two years."